WRAPUP: it was an overcast but nice day for a car show.. We had a half dozen MINIs among the BMW’s, but we drew a pretty good crowd. We had a chance to watch the BMW driving school, plus a drifting contest on the Autobahn grounds, and a few people took to the go-karts. There was a raffle and a few Chicago Club members got some cool cleaning supplies. We were also able to do some lunchtime touring laps on the track. Huge thanks to the Windy City BMW club for inviting our club to attend this event!! 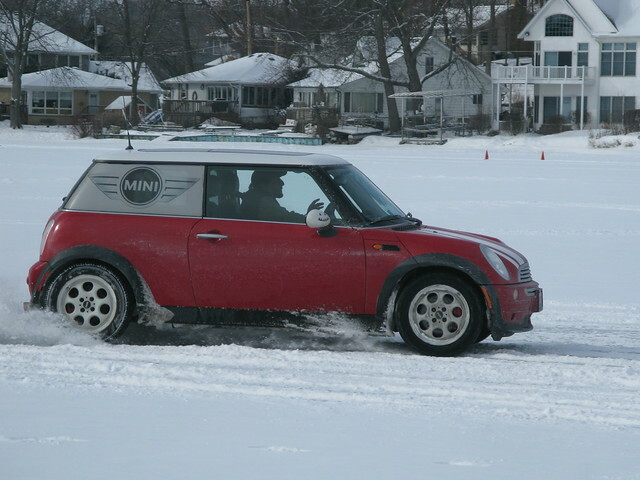 Photos by: Steve and Kevin R.
Interested in becoming a Motoring Advisor at Bill Jacobs MINI? Follow THIS LINK for more details and how to apply, and let us know when you get the job!! 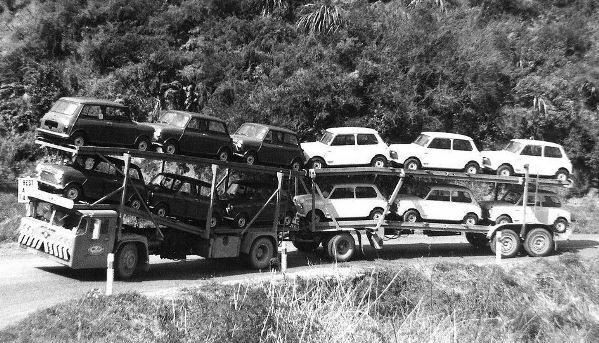 A few people are interested in transporting their MINIs out to Portland for the start of MINI Takes the States 2018. 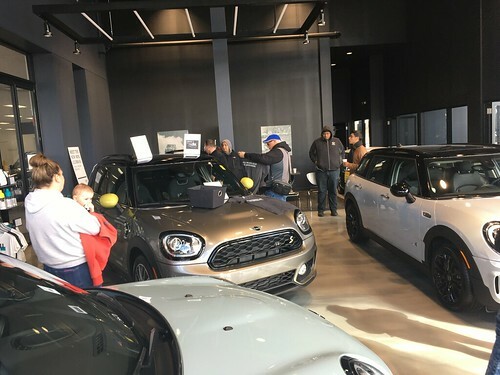 We will be joining up with the Northwest Indiana MINIacs and the MINI Car Club of Indiana at the Indiana Dunes Recreation area on March 24th. WRAPUP: It was a chilly day, but we missed the expected snow storms.. The Chicagoland group met up at Club member Juan S shop, Frankies Window tinting and got to watch a bit of their tinting work in action. 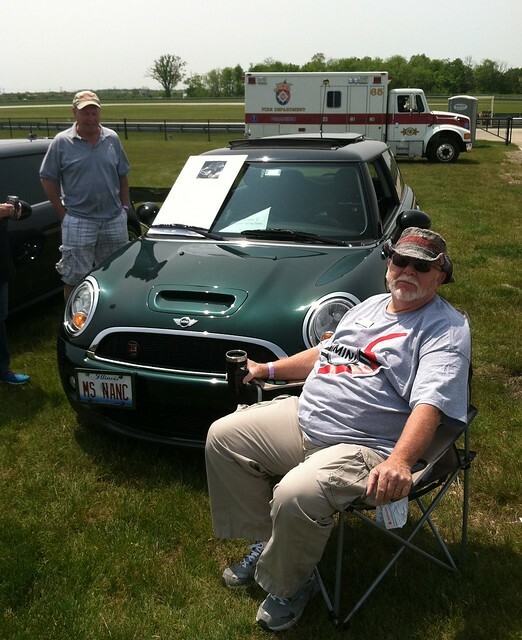 We headed off in a 20 MINI caravan out to Indiana, where we met up with an additional 20 or so MINIs from the Fort Wayne club and the Northwest Indiana MINIacs. Chunky Taco food truck served up some delicious grub, and the Dunes Visitors Center opened their doors to give us a warm inside space to eat and visit. 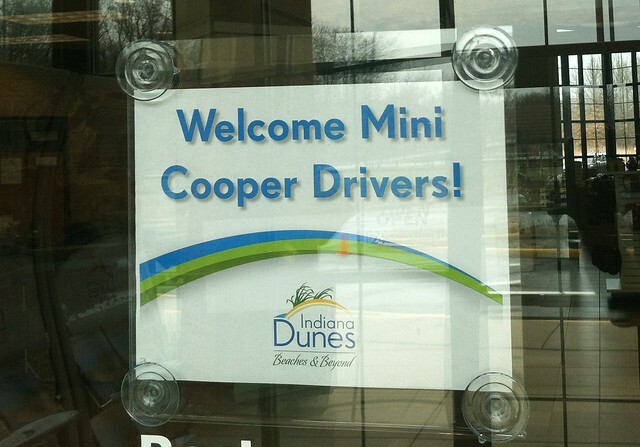 Thanks to Matt M. for organizing the Dunes get-together, and Juan S. for hosting the starting location! !